Your content marketing strategy is doing fine, right? So what do you need a blogger for, let alone a YouTube Vlogger? Look upon it from another perspective, that of your prospects. At a certain point, who are they going to call? Someone that they’ve discovered on Google or the company of which they’ve just been watching a product in a crazily animated 15-minute ‘how to’ video? Bloggers may be a great avenue to support branded products with their online reputation, organic rankings, credibility and more profitable relationship with the various customer groups you have. 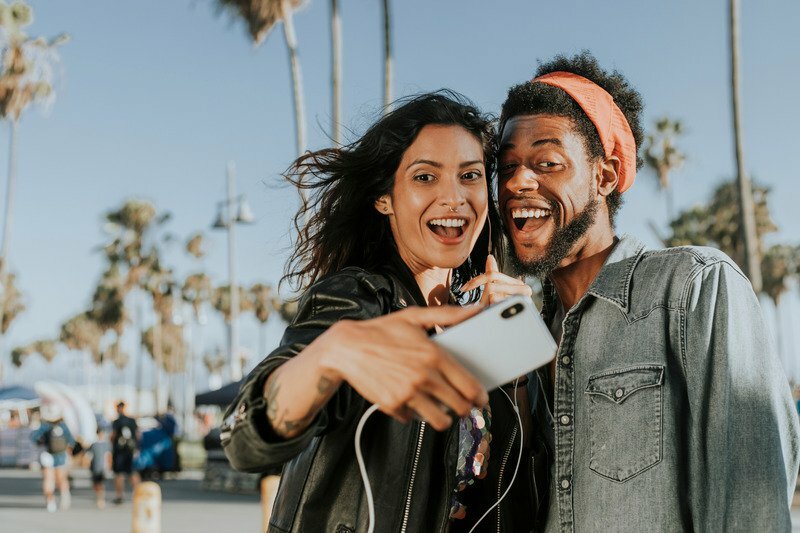 With the gradual decline of traditional advertising, influencer marketing has become an effective way to reach new customers. Daily over 2.7 million blog posts are distributed. It may take some time to find the right blogger. Giving a large number of blog posts published every day, deciding where to look for an established influencer seems daunting. The majority of top-bloggers, such as Mr Bag, Jake Dobkin and Pete Cashmore earn a mere 30 per cent of their income from sponsorships, while they earn another fair share of their money by selling their own (digital) products. Because of this you may need to haggle to have them promote your products. But hey, before you start, here are some hard-boiled tips on what you should look for in any blogger when it comes to finding the one to fit your brand. The most active bloggers have grown up during the blogging “revolution”, which started about seven years ago. Bloggers in the age group 21 to 35-year-old account for 53.3 per cent of the blogging population; this group is followed by the age group that comes next to them; the 20-year-olds or those who are younger account for 20.2 per cent of the bloggers. This group is closely succeeded by 36-to-50 year-olds, who account for 19.4 per cent, while bloggers over 50 years old make-up for a mere 7.1 per cent. One of the most popular questions about bloggers is: “How important are their readership numbers.” Well, numbers matter, however, there’s so much more that goes into building a successful influencer campaign than blog readership alone. Engagement is another way to look beyond numbers. It might be important to look at the entire digital footprint of the blogger of your choice, which includes factors like reliability and creativity before you come to any decision. A blogger’s authenticity is essential, and so is the trust their readers put in them. Another thing to remember when you ask a blogger to feature your product is that you will not necessarily get to control the editorial content of the post. Keep in mind that you may not be able to dictate every single detail of the message. When you join hands with an influential blogger, they bring along with it their audience as well as their social networks. You need to know which bloggers excel at creating compelling content, which leads their readers into clicking and commenting, this helps to drive traffic to your website, it increases following on social media, and it supports to sell products with reviews, recommendations or by stories of their experience. Pick a blogger who repeatedly proves to incite great engagement on their posts and who has lots of comments on their blog over a blogger with higher readership any day; cleverer content compels. Quantity matters to increase and maintain your traffic, but you should not forget to focus on the quality aspect of any blogger. Content marketers and pro-bloggers often face the argument ‘Quality versus Quantity’. For a location-based event, for instance, it is likely to contract a blogger who speaks to an engaged, local customer group rather than a national blogger with high numbers. The blog’s content is absolutely crucial. About what is the blogger writing? Is their content appropriate for our brand? Are they a good writer? When they publish sponsored posts are they sharing a brand’s content in an organic way or does it read like a bad sales pitch? Do they daily post or do they have this process automated? Finally, what can you say based on their design? Can this seriously make or break the first impression? And do not forget about their ability of storytelling through good quality photography, which still drives the bus! A campaign can have a sponsorship component and a “cool factor” component, within reason, though. You have to look at the whole picture of what a blogger is offering. A juvenile blogger once priced himself out of the market for an interview with a local celebrity. Such an interview cannot break the bank when it might have driven the blogger’s readership through the roof. A specific influencer can have low monthly unique visitors figures, but she has social media numbers with a high Klout score. If the numbers are great and their videos fit the goals of your campaign, you may ask a blogger to bypass blogging and feature your product on their YouTube channel. To conclude, do not be mistaken on one vital thing, the majority of professional bloggers will tell you that the money is on the mailing list. Why? Well, this is because most people do not buy things off the bat, they need to get to know more about it, understand the values that you provide to them and be sure about what they are buying from you. Therefore, an email list allows you to be in constant communication with your audience, which makes that you can deepen the relationship with your (potential) customers. Previous post Why storytelling matters? Next post How to Become an Ultra-smart Advertiser?